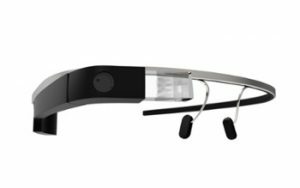 While most everyone has heard of an augmented reality (AR) eyeglass-type product, many have only seen it being used for consumer applications. Now, the trend is to use this technology commercially; for the logistics industry, there are many potential use cases in a warehouse. First, let’s discuss the basic definition of AR, then we can dive a little deeper into how this innovative piece of technology could potentially be used in a warehouse. It is important to distinguish AR from virtual reality (VR). VR is complete immersion in a virtual world – with no outside stimulus. VR is much more common and is mostly used in gaming and entertainment. AR is technology that alters what the wearer sees in his/her reality. Aeronautics and automotive manufacturers have been implementing AR with heads-up displays for years now, but wearable AR technology has seen slower development and adoption. In the future, we will be seeing more of this technology in the workplace – with many AR commercial solutions already in development. And speaking of commercial AR solutions, Google Glass is not the only AR tool coming to market. 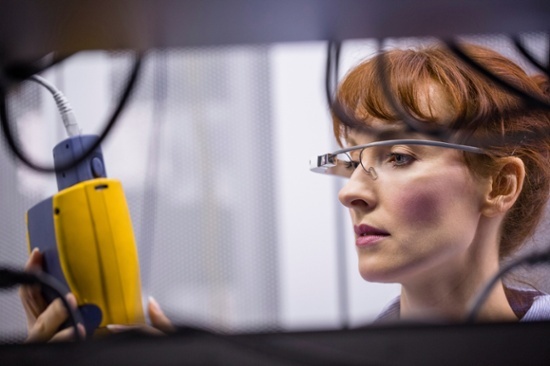 Yes, we know Google Glass got shelved in early 2015, but it is rumored to be making a comeback. 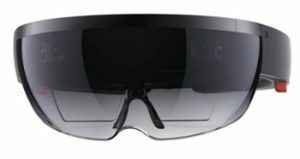 Additionally, there is another very exciting product as well: Microsoft has now released the HoloLens. While Google Glass appears much like a pair of glasses, the HoloLens looks more like a pair of tinted goggles. 1. Order Picking – Traditionally, pickers would receive a list of items they were supposed to pick for an order through an RF unit display or paper-based task list. With AR, the employee can keep his/her hands free to pick items as the list is displayed within the visual field. Also, as each item is picked, the technology verifies the correct product using optical readers to scan bar codes, and instructs the employee to the next most logical item to be picked. The employee can move faster, more efficiently and with greater accuracy. There is even potential to replace a highly-efficient Pick-to-Light system, giving the employee an overlay image of each highlighted location and quantity. This could be done without the costly implementation of physical hardware in every warehouse location. 2. Equipment Repair – Whether it is a conveyor belt or material handling equipment, a trained employee is needed to fix a packaging line or a forklift if it is not working properly. AR can enhance their knowledge and skills. If an employee needs additional guidance with repairs and the problem is beyond their capability, a more experienced person is called to come and do the job or train the individual to repair the equipment. This could involve travel, multiple phone calls, emails with screenshots, and time searching for information and reading manuals. With AR, an expert can be called and he can see what the on-site employee sees and walk them through the process, or electronic manuals can be accessed directly on the device. Seamless and quick. Now the on-site employee has actually performed the repair hands on, thereby increasing their skills, and it has all been done faster than ever before. 3. Safety and Quality – AR has raised privacy concerns in the public sector. Many individuals do not want their actions to be recorded via video without their knowledge. However, this is a feature that may be used to great advantage in the workplace. For quality control, a supervisor can see when an employee is fatigued and may not be accurately pulling defective material. The recorded video feed could also be used during a safety incident investigation. Observations can be performed remotely to better analyze, document and improve processes without having to follow the employee, which may prove difficult in some environments. An employee could transmit video to their supervisor if they encounter difficulty so the supervisor could instantly see what the employee sees. Finally, it could be used as a monitoring system to drive employee accountability and identify opportunities for training and improvement. Kristi Montgomery is Vice President, Kenco Innovation Labs, a team dedicated to delivering value through technology transference, innovative processes, emerging technology application, and supply chain innovation. She enjoys translating “geek speak,” and building excitement around business technology innovations. 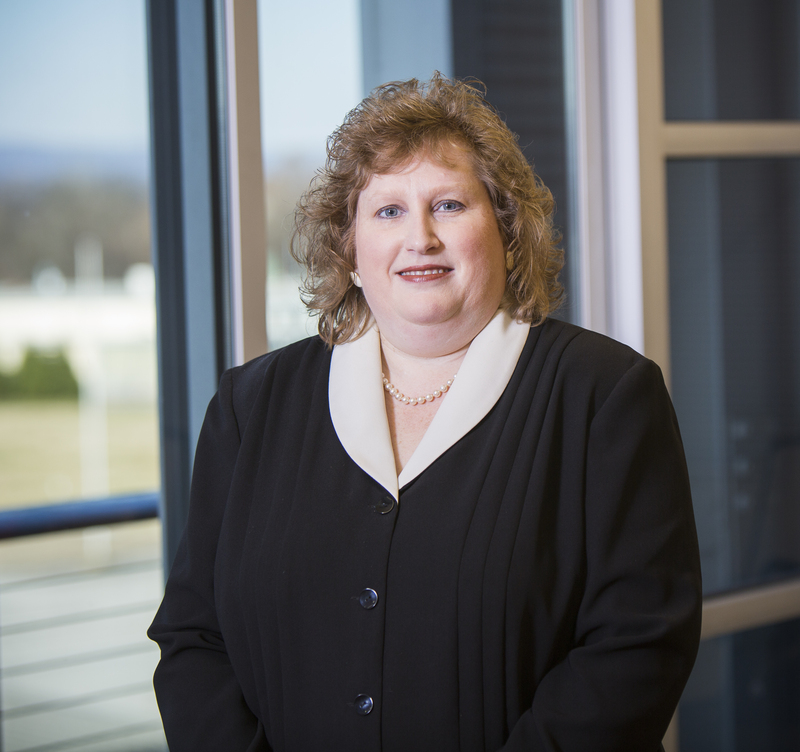 She chairs the IWLA Education Committee and serves on the Chattanooga Technology Council’s board. Hello Adrian, This is a very interesting topic. I am a Senior shipping Manager for a fortune 500 company and I would like to get more details about AR. Can you name a few companies using this technology and their associated saving? This article article is very relevant. AR will have important outcomes in pragmatic situations. In answer to Andehais, we as AR developers are already using this for Logistics, retail and data management. We have partnered with the worlds largest scanner manufacturer to make this happen. There are a number of pilot projects under way with major manufacturers and software product developers and the results are promising. The pilots have produced projected cost savings and there are a few large organizations running proof of concepts – I believe this technology is coming into focus and the release of the Microsoft Hololens will only increase the use cases and pilot studies for this technology. I do not have cost savings information directly, but as these case studies continue to be published, you will find that information more readily available.